PSD file represent image file types that are created with the most commonly used professional image editing program, Adobe Photoshop. PSD image files may include image layers, adjustments, masks, notes and other elements that are specific for Photoshop. PSD or PhotoShop Documents supports multiple color modes as: RGB, CMYK, grayscale, monochrome, duotone, Lab color, multichannel color mode and others. PSD file format is separated in five parts: file header, color mode data, image resource, layer and mask information and image data. Each part, contains and specifies some image data. File header contains basic properties of the image. Color mode data specifies the lenght of color data. Image resource specifies the length of the image resource section and the image resources. Layer and mask information contains information about layers and masks. Image data contains the actual image data, the data compression method and the image pixel data. How to open Psd file? Except Adobe Photoshop, PSD image files now can be opened with PSD viewer. Adobe Photoshop is expensive program, so we are giving the solution for opening and convert PSD image files, for free. PSD Viewer is fast, small and compact freeware image viewer supported by all versions of Windows. With this viewer you can easily convert and save opened image in other file formats as JPEG, Bitmap, GIF, PNG and other extensions. Dispute converting in other file formats, PSD Viewer supports resizing of PSD images, enlarge or reduce, without losing any quality. PSD Viewer have a very user-friendly interface, so any user, no matter if is beginner or advance can use it without a problem and can open, zoom, rotate, resize, convert and save .psd images to other formats. If you wonder how to open psd file online, you can visit our online psd converter where you can upload your psd file and convert to other more recognizable image file format. » Supported Operating Systems: Windows Server 2003; Windows Server 2008; Windows XP; Windows Vista; Windows 7. » Microsoft .NET Framework 3.5 (included in Windows XP SP2, Vista, Windows 7). » *NEW Now PSD Viewer Supports: Windows RT; Windows 8; Windows 8.1. PSD Viewer is a freeware and does not contain any form of malware, including but not limited to: spyware, viruses, trojans and backdoors. PSD Viewer uses only libraries that are need for processing, the interface is simple and easy to use. All this provides faster and stable work of the application. 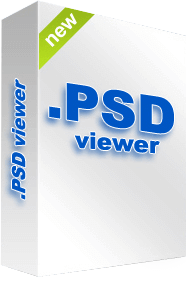 PSD Viewer is very simple and easy for use. All you need is to open PSD file, zoom, resize and save in other format if you want.